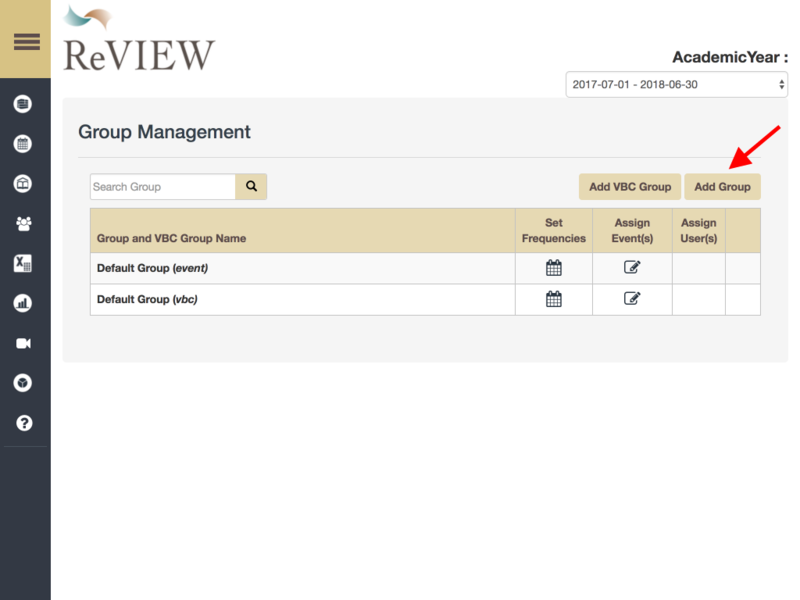 Click on the group management tab in the left side bar. If the sidebar is collapsed click on the icon with three people. Click on add group. If you subscribe to our video based calibration package you can choose to make groups for calibration or talent development. 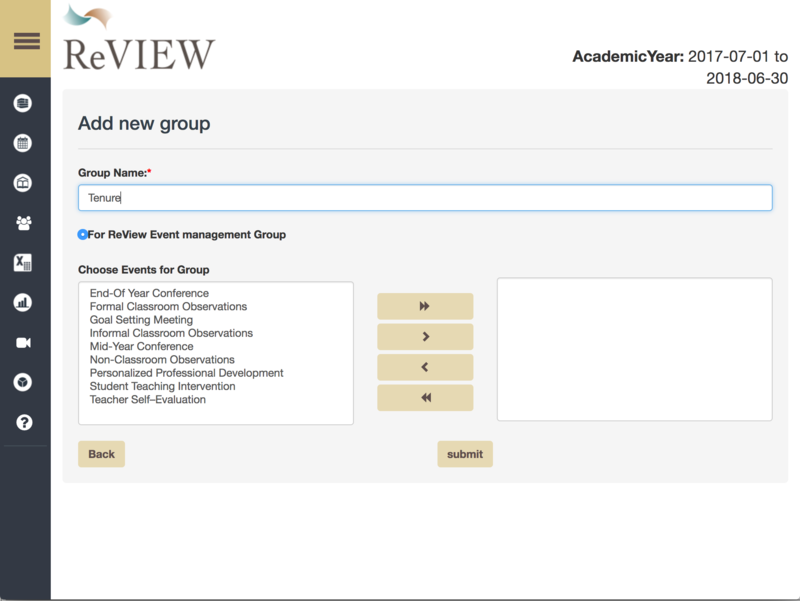 At this time you may choose to assign events to the new group.